I have noticed that people are fixing the connection into the power steering pump when it leaks by using a dremel/angle grinder to remove the circlip and offending o-ring for substantially less expense than buying a complete line from Ford spare parts at a ridiculous price. But the instructions and details I've seen so far are too brief for me to attack my pride and joy with an angle grinder. I just did this to my car. I had a whole workshop + hoist and it took me 2 hours. Basically, you need to remove the high pressure line from the rack and the pump, then remove it from the car. There's an annoying rubber block that it gets mounted to half way down that was a pain in the arse to unclip.. I then used some wet and dry and sanded the pump end of the hose that I was just cutting around and got rid of any sharp edges. Then I re-attached the new pump fitting from fraud ($11) and then slid the hose back up into it. Reattach the hose at the rack, do up the rubber block again, and fill it up with fluid. Let the car run for a bit until the fluid drains back into the rack/hose, and add as neccessary. It'll gurgle a bit, then settle down once it's been idling for a bit. Turn the wheel while the cars running and make sure there's no noises. If there are there might be air in the system and you may need to perform further bleeding. I was going to take pictures, but I never got round to it. Might make up some paint diagrams to show what I did..
hqracer89 has some pics on when he did it to his..
As long as you don't damage the high pressure hose too much, you're new fitting should be fine, and the hose will push up and 'click' into place. Couldn't be easier. Thanks heaps Christiaan, I really appreciate the trouble you went to posting this along with pictures. ok this may sound silly, but couldnt you just use internal cir-clip pliers once the hose is off? you might be able to use some sort of tool.. I didn't have anything at my disposal so I couldn't exactly use anything else other than the neumatic hacksaw and hand held hacksaw..
You mean on the new fitting? It looks pretty tight in there but with the right tool you may be able to. I have just been having a closer look at the fitting, I think if the circlip was removed it would not attach to the pump housing and fail to seal, so I can assume that removal of the internal circlip would render the replacement fitting useless. I split the nut with a small dremil using a 30mm cut off wheel, I did a pretty good job and didn't touch the pipe at all, only to find that some previous owner had tried the same trick with an angle grinder and had scored a deep cut along the pipe. Plan B: I phoned a different Repco store and got an after market complete pipe with nuts, o-rings and instructions with 24 month warranty for $89.00 and it can be removed and replaced easily with another after market one. Unlike Ford's assembly line one way circlip fitting this one has a more conventional flared end with removeable o-ring......much better. And $89.00 Repco versus Fraud's $347.00. NB: It pays to phone around because a guy from another Repco store told me that there is not an after market one available and that I would have to buy the Ford genuine part, which is why I tried the replacement nut coupling thing first. For those in S.A. Repco south rd. St Marys=good store and open Sat and Sunday. Did the job, not as easy as I thought working under the car without a hoist never is, problem all fixed no leaks until 3 bloody days later it started leaking again, I must have damaged the little o-ring, I'll replace that and see if that helps. The Repco one pushes up hard against my intercooler duct whcih would not be there in a non turbo BA. It only leaks when I drive it harder, if I take it easy it never leaks at all. I could try bending it so that it clears the intercooler pipe but I am afraid of crimping or perforating the line if I try this. Has anyone else had problems with after market power steering hoses for XR6T's? The guy at Repco said this would fit my car, when I compared the Repco one to my original it looked the same to me but clearly the turbo one would have a sharper bend where the sensor is to clear the intercooler duct. I don't know of any other after market hoses available and still don't wish to pay $347 for a ford one which may need fixing again within a couple of years. we did mine today and whilst it is an absolute *beep* of a job to do $14 as apposed to $90 or let alone $200 means its worth it, and still probably easyer then replacing the whole line would be sans hoist. A mate bought a fitting from Enzed or somewhere, and what he did was unscrew the factory fitting/hose from the pump, screw in this fitting he purchased, and then screwed it all back together (ie. the fitting has a female thread at one end, and the male fitting at the other end). He said it stopped his leak, and it sounds like a real simple solution. I have done 3 of these now using the fork tool designed for undoing trim studs. U have to get the hose and fitting in a vice, get the fork square and hit it with a mallet. 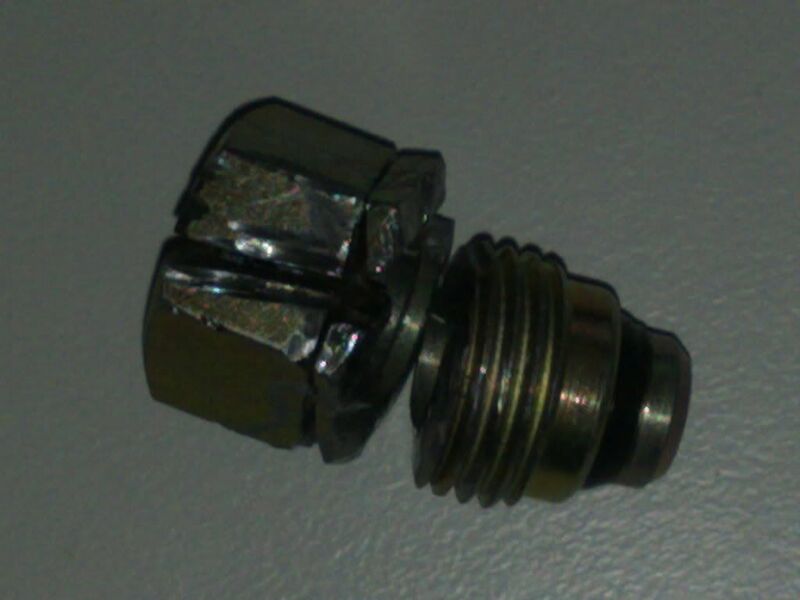 It damages the inside of the small fitting but that's the cheap part u replace anywho. The old hose then snaps straight into the new fitting. The genuine lines inc the return line cost me $240 and took me under 2 hrs to replace..
She's all sweet and no more fluid leaks on the Alternator which I think should happily live longer. The method I mentioned above has worked well so far for me, no leaks. Interested in this easier solution. Any more info? I used a $88 repco hose. Nizpro fitted it for me at my last service, and its been sweet for 3 months, touch wood. no signs of weeping. Just an alternative if you dont want to have a go at cutting the fitting off, as If you nic the pipe, you need to replace it. Im going to attempt the method where you use a dremel and cut off the end, and replace it with the new piece from Ford. Has anyone done this mod, and then STILL have it leak afterwards? I'd hate to do it all, only to have it leak again afterwards. I've done three Mikey, the oring that leaks is replaced as part of the fitting you cut off. Be very very careful to avoid knicking the p/steer pipe when you cut the nut of. I prefer to cut 2/3rds of the way through then give it a gentle nudge with a small chisel to split the nut rather than cutting all the way. Be mindful of the metal swarf that you will generate when you cut the fitting. Plug the pipe before you start and clean up the area with solvent before refitting. I would also give the seal surface a once over with a bit of wet and dry to remove any metal that could knick the new o-ring. Fit the fitting to the pump, lube up the pipe with a little bit of clean p/steer fluid, Slide the pipe in and roberts your mother brother. Sounds good. I've got the fitting just waiting for the right day to do it on. My only concern is, mine doesn't seem to leak from the fitting or that line, however it seems to get onto the back of the pulley and that pulley spray it around in a circular spray under the engine bay. Does that mean its probably not the main fitting that I'm intending on replacing? And its more the main seal around the bearing or something? Ive got a leaking line now. Anyone know if this one will do? I fixed mine by dremeling the nut off, but found that the rubber O ring was perished and squashed after I finished.I reckon it only needed a new rubber O ring. Should try that first before grinding the nut off. The nut only cost $10 with a rubber O ring. Just my 2 pence. But is the rubber O ring easily accessible and replaceable once you unscrew the line from the power steering reservoir? yep its just on the end of the thread that screws into the reservoir. 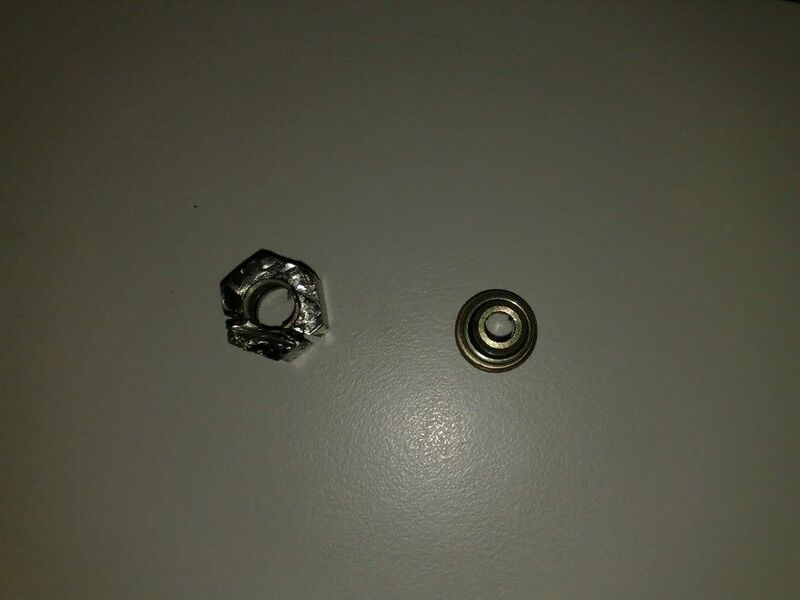 And for mine the nut was exactly the same and the rubber O ring is the weakiest link not the nut. Well I've purchased one of the nuts and have it sitting in a drawer, do you reckon I should just remove the O-ring from the new nut and install it into my current nut which is on the line at the moment? (removing the old O-ring first obviously) ?